THE TRUE POWER OF THE INTERNET | Thoughts of a Calabarboy. 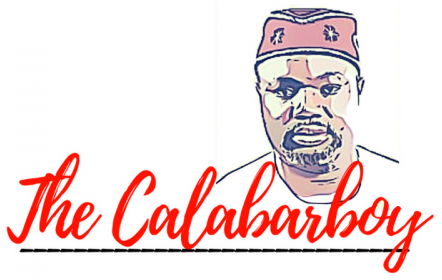 THE TRUE POWER OF THE INTERNET – Thoughts of a Calabarboy. I was quite eager when the opportunity came to relocate to Lagos from Calabar after my secondary education. Despite opposition from some peudo-motherly quarters, I made the exciting trip by road to Lagos (with a bottle of non-alcoholic wine to celebrate). This threw me into a whole new circle of activities and contacts with new people, although my grandma was always there to stabilize my emotions. She was the reason I moved anyway. Months later in 1994, I was invited to a Vacation Bible School, at the end of which I made quite a few friends and collected several addresses and phone numbers. Before now, I had only posted letters a few times in my whole life; a couple letters to my dad in Lagos, and one or two to my uncle in the United States. I was used to telephone conversations, which were far between in any case. I remember our NITEL phone number then was 087-222889. My brother and I used to randomly choose numbers from the telephone directory and prank calls, until the day my mum screamed at the phone bills. In Lagos however, grandma had no NITEL telephone. My only options were to write letters to my new friends, or walk from Campbell Street down to NITEL tower at Marina to use the pay phone, which meant I would have to gather enough 10 kobo coins to place my calls. These were precious moments. To hear a friend’s voice at the other end and spending minutes conversing inconsequentially, or hearing the post man opening the postbox outside the house, was most times the highlight of each day. It’s hard to look back and relate to those days, when communication was carefully planned and labouriously thought through. Today, we carry about fancy gadgets that instantly perform multi-functions, and we rarely think about what we channel via these devices. The rise and pervasiveness of communication technology has so sharply widened the gulf between our immediate past and today that I can’t even imagine how I stayed in touch or fixed appointments with friends. My introduction to email was in 1998. I first heard the word “Yahoo” from the lips of an amiable former Bank MD who was also a Deacon at the local church I attended. A few months later, the same guy facilitated the installation of dialup internet connection in church from where I consolidated on my knowledge of how the system works. Those days also gave me materials to build the foundation of my family life today. I still had to compose from home what I intended to send via “Yahoo” though. Eventually, I ended up studying Computer Science for two years to take my curiousity to new heights. Today I see how a new generation, born at a time when birth certificates carry the email addresses of parents, are living in the midst of data charged atmosphere and do not realize how deep in the belly of the information whale they are. The context of convenience and inconvenience is quite different from what some of us know. For this reason, there is a social head-butting going on between generation-then and generation-now. There’s a silent social struggle of one generation to accept the possibilities that such technologies brings, while the other generation struggles to see how this technology places them at the cusp of an economic, social, and political disruption. So much is being written these days on the powers of the internet and the nature of the insurgency it is birthing around the world. A few years ago the focus was on the economic impact of the internet. Today, following several revolutions, particularly in the Arab world, much talk is on the political implications of the internet. Several countries are now grappling with how to regulate and put a leash on the raging Bull. That in itself is quite challenging seeing that it is nearly impossible to fight against a system and this is where countries begin to make a mockery of their institutions. I have a friend in China with who I keep in touch via gchat. We couldn’t after a while because the Chinese government had clamped down on that medium. Did they succeed? Yes. Do we still communicate? Yes again. Has anything changed? Nope! The fact is that systems are like living organisms; they evolve and find new ways of expression. Interestingly Krugman titles the article where he makes such a notably faulty statement “Why most economists’ predictions are wrong”. Laughingly, in the article this economist ends up making his own set of predictions, several of which have been proven wrong. This tells you the extent to which, even the intellectual class, people underestimate the modern powers and workings of the information system. “The growth of the Internet will slow drastically, as the flaw in “Metcalfe’s law”–which states that the number of potential connections in a network is proportional to the square of the number of participants–becomes apparent: most people have nothing to say to each other! By 2005 or so, it will become clear that the Internet’s impact on the economy has been no greater than the fax machine’s”. This is the most critical element of the information revolution driven by modern technologies; the propagation of ideas. How do you make predictions on the trajectory of an idea, or how do you regulate it? You cannot! You can only counter an idea with another idea. Two dudes at Stanford University knocked around an idea a few years ago. I wouldn’t be wrong to say you wish you work for them. Another dude in China had an idea that if we can’t stop those Stanford dudes, then perhaps we can counter theirs with a local idea. Today Baidu dwarfs Google in China. A kid playing with his phone somewhere at the fringes of an African city is nursing an idea, and not a single one of us knows what it will become tomorrow. This is made possible by the internet. This is the part we so often relegate when thinking of the preponderance of this medium of information exchange. We look at the hardware before us and can only see info barter and data processing. 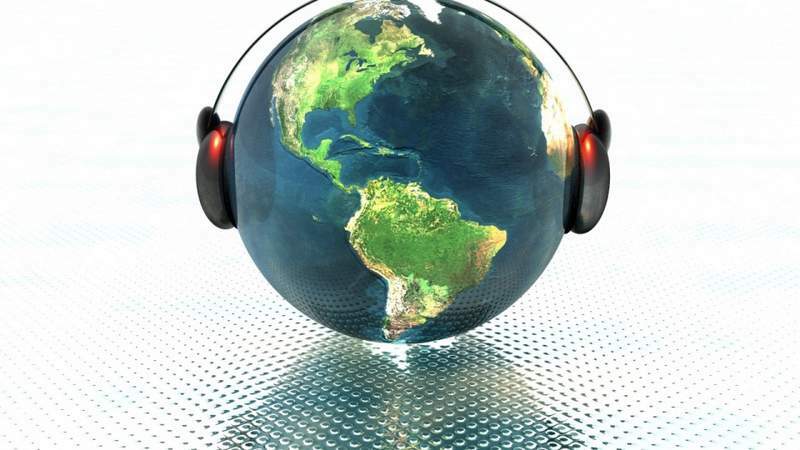 Very few are able to hear the silent calls of our techs to imagine new worlds of possibilities. Let me hinge my point here. We in this little part of the world cannot begin to imagine what potentials can be released within this generation if the internet is made accessible to everyone. It is past the time we think of the internet as merely social media and its associated noisy opinion-hood. Forward thinking governments and organizations should be creating units within their space to study the underlying growth of the internet, and how to adopt and adapt to its provisions. It is not enough to tout the overflogged economic rhetoric that small businesses are the engine of the economy. The small business of the future is going to be heavily reliant on the internet and its associated technologies. It will be nearly impossible to effectively plug-in to the business world without knowledge of the global information economy. This is why our government today must strategically create the environment for that tomorrow’s economy. Ignoring it is at a very costly future price. Today, the rise of BitCoin is having some serious implication for the global finance industry. The smart ones are already looking into this modern and growing medium of exchange. Traditional newspapers and publishers all over the world are seeing their profits thinned due to the increase in online reading, while others are smiling to the bank. OpenCourseWare is redefining university education as we know it, and some have even begun to question the necessity of a university degree. If we are not careful, one day, the existence of government itself will be questioned. No so long ago, I met some person who is a renowned legal practitioner in the country and we got talking about technology issues. I was amazed at the utter ignorance displayed on even modern internet tools for the legal profession. When I think about the matter and realize these are some of the kinds of people who influence policies and make laws for us as a country, I understand why we are where we are at the moment. In any case, I hear there is a National Broadband Policy coming out. I wait to see how it will be implemented. You’re welcome Tobi. Thanks for reading. I keep saying to Nigerian youths – “don’t underrate the possibilities of the internet”. In less that twenty years from now, Nigeria will have an internet-passionate government. Then, we’ll hear more success stories of people who legally earned their millions with i-related technologies without leaving Nigeria. Haha! We’ll also hear stories of 22 nigerian adults in the civil service that were sacked because one 14 year old girl wrote an internet software that performed their jobs. FRIENDS, BE AWARE that Nigeria’s future is already happening today in other parts of the world. Thank you prosper. I am sure your voices will make more sense in years to come. Keep talking sir. We’ll just have to keep doing our positive part. We can still shape our future today. My oga at the top i salute thee, i couldn’t agree less with issues spoken about in this article, last week i read about the man who conjured the BRICs countries, talking about the MINTs countries and looking at their projected GDPs n CPIs and Nigeria will be amongst the G20 countries by 2020. Dangote in that article said “Nigerian economy with power issue is growing at a rate of 7% per year, and by the time we have the power fixed the growth rate will be 12%”. A dalberg article i read some weeks back identified the ICT, Entertainment and Agricultural sectors as the growth catalyst that will lead the resurgence of Nigeria. But i did like to see more venture capital investment in the tech sector, being a tech enthusiast i spend my time reading and following the Nigerian tech space, have seen dozens of ideas spring up and die out, my company once helped a team that won the tony elumelu foundation grant, design the U.I of a product they developed for Nollywood that ease auditions and make it easy for productions companies pick people for roles, today that product is no where, why? lack of funding. I read Jason Njoku’s blog CEO of Iroko alot, and if theres one point he keeps hitting had on his the role funding plays in turning a tech garage company to a global company, this week alone Visua.ly and Content.ly but raise millions of dollars in Series A n C capital fund raising. All the successful tech companies in Nigeria are being funded by foreign VCs from dealdey, konga, jumia, to iroko, only Cheki and Jobberman is being funded by Chuka Obi. Its the setting of VCs like SPARK which jason n his partner set up that his turning Kuluya, bus ticket and tolet.com.ng to great tech stories, kuluya from their last series of funding raised $2million (approx #320million). You have raised and discussed in detail the potentials hidden in the internet especially in Nigeria and Africa, but i believe we can achieve this greener pastures faster, if we have more funding of ideas, private equity firms taking gambles on young brilliant tech nerds with awesome ideas, government setting regulatory policies that will create a free and competitive market to grow, provision of infrastructure (data is still very expensive), then would we reach utopia. I tend to be very cautious when discussing issues of Venture Capital here in Nigeria and Africa. Most of the West’s money comes from spurious financial market profiteering, which flows from immoral financial engineering to make inordinate profits. I wish we do not tow such a path because the effect on our economy with such wide economic gaps might be disastrous. Funding has its role to play, but has its time to catch. I am first looking at a revolution of ideas where funding will not necessarily be a problem, before we talk about scaling them. My worry for the entire venture capital industry is that we make young people who are coming up with creative ideas to factor funding into their initial thinking. This already limits the potential of the idea when money becomes a factor. I believe funding will help ideas, but I believe more that great ideas find their own way to ether the market, by starting small and growing carefully. I do read Jason Njoku’s blog a times when someone posts a link, and frankly, he is a business man and talks and writes like one. I constantly choose to follow the citizen’s line of thought where I assume zero support apart from the plausible position of effective government policy. The rest are extraneous variables, which can not be controlled. There will be a time when great wealth flows around the country in many coffers. At that point, there will be a healthy competition for expansion into other creative sectors. Something of that nature is beginning to happen where you have people with extra cash to spare like Mikel Obi floating a record label and identifying potential music stars. For now, genuine wealth lies only in certain sectors where it takes heavy money to keep the wealth flowing, and the players therein are but few and ignorant of the tech revolution. To support your position, if I were in an executive position of government, I will directly provide resources for Universities to set up tech labs where ideas can be carefully explored, incubated and brought to the market if need be. The private sector is not one that has absolute predictability and even when it does, profit extraction is its ultimate goal. Like I said, we have begun taking baby steps like having a broadband policy. Let’s first see where this takes us and how we can effectively reduce the cost of data in the country.